There are pluses and minuses to contracting with a connected-home/home-security provider such as Vivint. On the bright side, you get professional installation as part of the package; and if anything goes awry, you simply call customer service and they’ll help you resolve the problem or dispatch a tech to handle it. On the downside, you’re limited to the products and services the company deigns to offer. 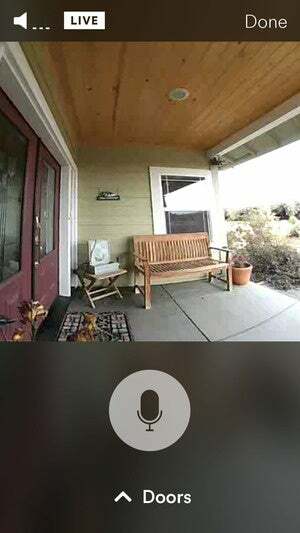 The live view from Vivint's smartphone app. Take doorbell cameras, for instance. These gadgets have been on the market for more than a year. But if you bought one, you couldn’t integrate it with the rest of your Vivint system. As with stand-alone doorbell cams, such as the Skybell and the Ring, Vivint’s device can send alerts and pictures to your smartphone either when someone rings the bell or when it detects motion. The camera offers a wide, 180-degree field of view, and it supports night vision. 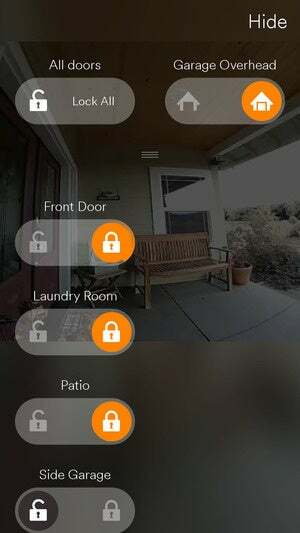 Because the doorbell is integrated with Vivint’s connected-home/home security system, you have the option of remotely unlocking any of your doors that are equipped with a smart lock. If you’re not home and you want to let a friend or family member into the house, you can remotely disarm your security system and unlock the door for them. This could also be useful if you need to receive a package while you’re away from home. The live view with the overlaid door-lock controls. If your system includes a garage-door controller, you can ask the delivery person to leave it in there instead of on the porch. The lock controls appear as an overlay on the mobile app, so you don’t lose sight of the camera view while you’re doing that. You can also control any other element of your system, such as turning on lights or viewing other camera feeds. The weatherized doorbell must be hard-wired to a power supply, but it can replace your home’s existing low-voltage doorbell and use that wiring. 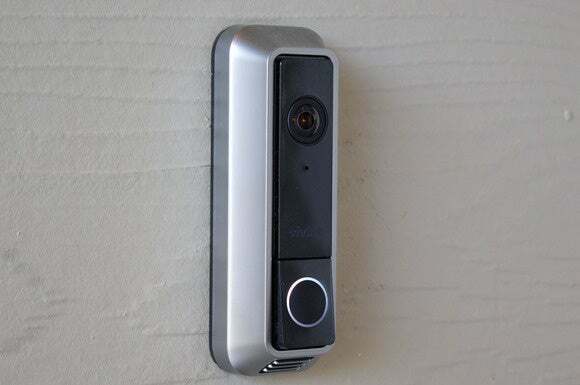 The Vivint doorbell camera is available now.